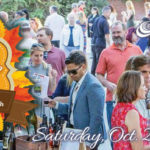 Volunteer Opportunities for the 11th Hallo-Wine Fall Festival! Success! Thank you for your interest in Home Start. We appreciate your compassion for vulnerable children and families in San Diego. Stay tuned for Home Start News and Updates as we partner in the battle to prevent child abuse. It is never a mistake to get help for a child or adolescent you feel is in danger.